Carlos cake bakery has been creating delicious cakes since many years. Our cakes are baked and sold exclusively at our shop Cake Shop in Marathahalli. If your desire the finest quality cakes for special occasion then we are here to serve you. Here, all your needs will be quickly fulfilled and most delicious mouth watering cakes will reach at your home if Order Cake Online in Marathahalli or in just a single phone call. It may be wedding party or birthday or it may be a festival or it may be any celebration for any other reason, where more than hundred of guests will come- we Carlos Cake Shop Near Marathahalli serve you with the delicious cakes of your choice. 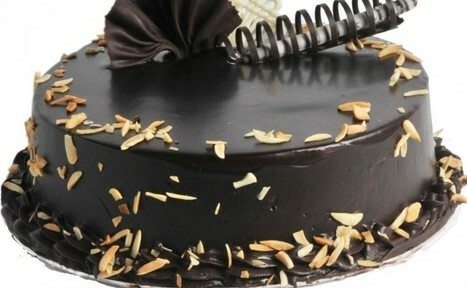 Cake Bakery in Marathahali is most popular provider of amazing range of cakes and desserts. Happy faces of your children can enjoy their special party surprise plan. In our cake shop you will find chocolate cake, cheese cake, and fresh cream cake for your choice. In addition to this, you can give us your specific orders like eggless cakes or any specific design on the cake. We have expertise to prepare your desired cake as quickly as possible. 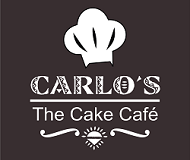 Carlos Cake is the best birthday Cake Shop in Marathahalli provides cakes, readymade foods, sandwich, pasta, puffs and burger as well. In addition to this, our quality norms are strictly follow international hygiene and health rules at every step throughout the preparation, storing, packaging, baking and distribution of our products. Carlos Cake store near Marathahalli offers outstanding tasty munchies and spicy sandwich. We deliver you order at your doorstep with best quality food packed in 100% hygienic wrappers and boxes. Apart from this, we are expert in handling each order with the utmost expertise. We value your time and health that’s why we handle every order with utmost expertise. All cakes, pastas, pastries and various other mouth watering foods are reasonably priced and served. We began with small business and with our efficient and dedicated team of innovative, enthusiastic and creative minds; we have progressed from simplistic cakes and bread suppliers for residential purpose to extravagant cookies or customized cakes manufacturers etc. Cake Shop in Sarjapur Road is a one stop shop for cakes and other variety of desserts. What best about Carlos Cake shop is its extraordinary taste in order to delight its clients. We provide blooming range of bakery services for your desired needs. We have team of dedicated and creative chefs who offer fully reliable and unique service to the customers. Besides this, one of the key factors in Carlos cake’s success has been its culture that our cakes taste amazing when that have been freshly baked by using exactly same components and techniques as those used in home baking. Thus, we serve our customers freshly baked cakes only. There is no secret recipe which makes the Carlos Cake Bakery best and other treats taste so yummy.